Private View at Fosse Gallery: Sunday 10th April 2016, 11am – 4pm. The Exhibition continues until Saturday 30th April 2016. 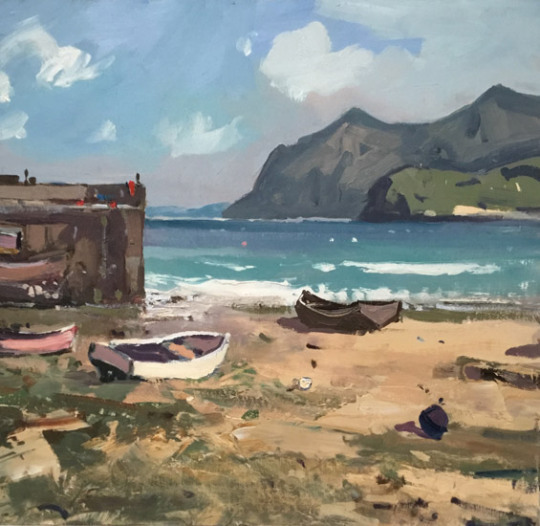 It is an enormous pleasure to be staging this One Man exhibition for the successful Welsh landscape painter Gareth Thomas. 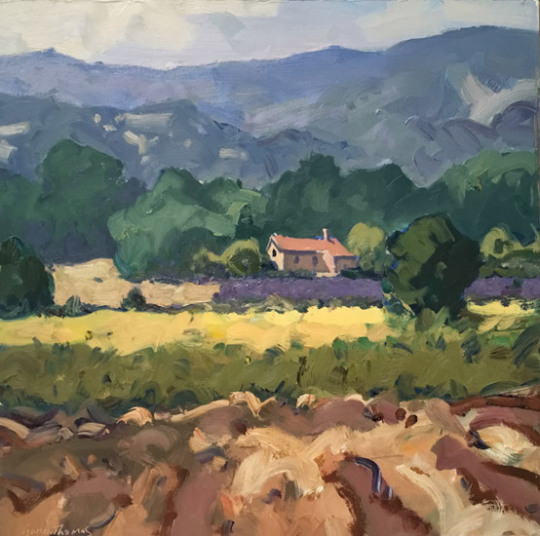 Having known Gareth’s work for many years through countless exhibitions in Wales and London, it is wonderful that we can now enjoy this latest collection of paintings here in the Cotswolds. His first One Man exhibition at the Fosse Gallery features work from Wales, Scotland and the South of France. His paintings are in numerous collections worldwide and include the National Library of Wales, Lloyds Bank and the House of Lords. 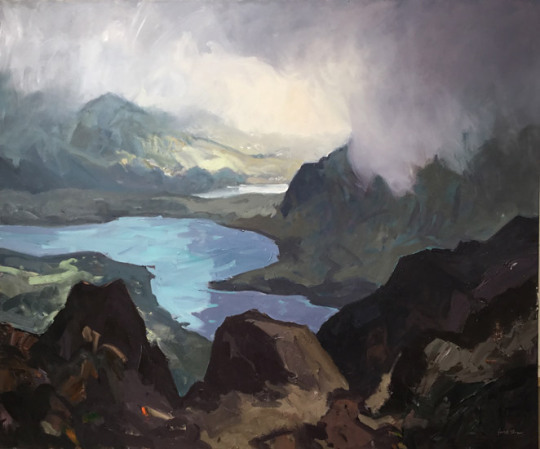 Born in Swansea in 1955, Gareth has spent pretty much all of his life living and working in the glorious, windswept and wild Gower Peninsula. His mother moved the family from the semi industrial slopes of Kilvey Hill on the eastern side of Swansea to Pennard when Gareth was only 18 months old. Her keenness for Gareth to be raised in a more rural environment was pivotal in establishing his lasting love of, and need to be in, the great outdoors. Thomas really got going as a full time painter after time spent at Trinity College, Carmarthen in 1979. He belongs to that rare breed of intrepid landscape artists who work mainly on location – taking numerous sketches and colour notes, though, for the big works that get completed in the studio. His interest has always been in capturing the spirit or the emotion of the scene and not just in making a replica. For me, Thomas’s paintings invariably demonstrate a wonderful lightness of touch – beautifully balanced and composed. He is able to convey what is almost invisible – the way the heat rises in the afternoon and slows everything down across the lavender fields blurring the edges; or the clear bright light of the breath taking Pembrokeshire coastline. Whatever the location his work is suffused with a serenity, harmony and beauty – qualities that entice and make us want to stay.